I want the whole world to go vegan! But I know it can’t happen overnight, nor do I expect you to do a total 180 to your diet overnight, either. 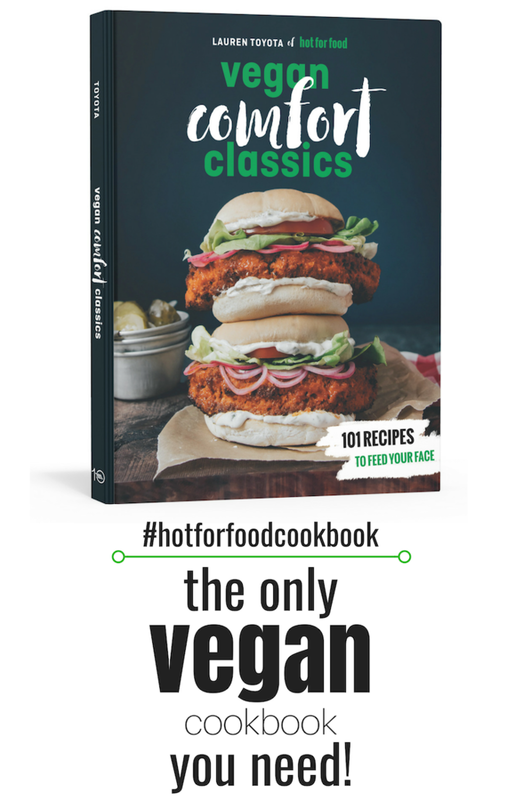 If you’ve been visiting hot for food blog and trying to go vegan even a couple of times a week, that’s amazing! Thank you! That’s all it takes to make a difference. Soon you’ll see just how easy it is to adopt this compassionate way of living. I’m always getting asked, “What does a vegan need to have in the kitchen?”. So whether you want to go vegan or just vegan-ish, here is a list of the 10 essential foods you’ll need to have in your kitchen. These are not the roasted, salted kind your dad leaves out in a bowl for days on end to nosh on. I mean plain raw cashews. They don’t look too appetizing on their own, but they’re magical morsels that can be blended with various ratios of liquid and flavors. This can become some of the creamiest sauces and most scrumptious cheesecakes you’ve ever had! Raw cashews will replace any dairy product you think you can’t live without. For instance, I make sour cream, tzatziki, vanilla cheesecake , and mac and cheese sauce with these babies! Drooling yet? Our relationship with kale is way past the honeymoon phase. It’s no longer the trendy veggie in town, but a staple at every grocery store and we know it’s good for us. But the reason you may have abandoned kale after it was hot is because you didn’t know how to love it the way it needs to be loved. In order to make it less bitter and easily digestible, all you do is give it a good massage! If you’re making a kale salad just remove the leaves from the stem. Then chop the leaves into shreds or ribbons, and give it a pinch of salt, some citrus, and gently massage the kale with your hands for up to a minute. You’ll notice it becomes softer, darker, and almost wilted. You can skip the tender lovin’ if you’re going to cook kale by throwing it into all your stir-fries, pasta dishes, soups and stews. This is another trendy food you’ve likely heard about, but have no idea what to do with. What are hemp hearts you ask? They’re the edible insides of hemp seeds. You might get a little “high” on life when you consume this complete protein because they’ll significantly increase your energy levels! You could sprinkle them on your breakfast cereal or fruit, but I like adding a full serving (3-4 tablespoons) to morning smoothies or a creamy herb dressing for salads and veggies. I suppose it’s still up for debate, but I think avocados just might be the perfect food. You can forget about all the high in fat mumbo jumbo, too. Eating good fats will not make you fat. Eating low-fat foods will make you fat and the sooner you realize that the better off you will be. The point is, an avocado a day will basically keep the doctor away. Its list of health benefits could trail on for days! They’re good for your heart, your gut, your skin, and your hair. Plus, they can replace creamy textures that you would normally use dairy to accomplish. Aside from making the obvious guacamole, start adding avocado to smoothies, use it in baking, create creamy pasta sauces, and toss it in all your salads. More importantly if you’re making big changes this year, try out avocado on toast. Trust me! 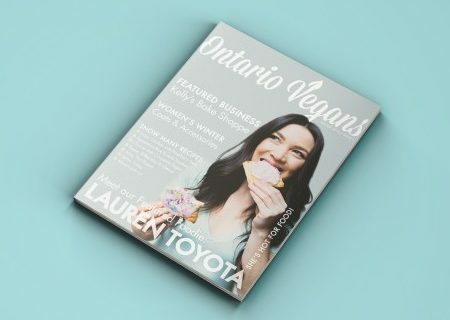 You’ll be eating lots of whole plant foods as you transition into the vegan lifestyle, but there are also so many great vegan products and substitutes available these days. But when it comes to buying a ready made product the only one you’ll really need is Earth Balance Buttery Spread. You won’t believe it’s not butter! It’s great on its own melted over toast or muffins, and it can replace butter in anything you bake. But don’t be fooled, this is not just another margarine. This product is non-GMO, preservative free, trans-fat free, and made from non-hydrogenated, sustainably sourced oils. Don’t fear! Nutritional yeast shouldn’t be confused with traditional active yeast. It is deactivated and happens to be a complete protein, which is good for all those naysayers who think vegans don’t eat enough! It’s yeast so it’s part of the fungi family (like mushrooms), and it’s grown and harvested from molasses. It’s essential to a vegan diet not only to inject nutty and cheesy flavours into recipes, but because it’s also a source of vitamin B12 – the one thing we can’t get since it only occurs in animal proteins. You may come across some hipster vegans that like to call it “nooch” but it’s all the same. Find it in health food and bulk food stores and use it on everything. Mix it with sea salt and coconut oil for a tasty popcorn topping, find it in our mac and cheese sauce, and use it to make the perfect tofu scramble. By now you’ve probably heard about all the great benefits of coconut oil. It can maintain healthy blood sugar and cholesterol levels, strengthen your immune system, aid in digestion, and keep your skin glowing and wrinkle free. Oil pulling was all the rage last year too! But I cook with this oil almost exclusively and often eat it completely raw in smoothies and desserts. I also use it for all kinds of homemade beauty products like toothpaste, deodorant, and body moisturizer. I recommend buying the biggest jar you can find! You need to stop watching the news and reading things on the internet because the anti-soy movement is a whole lot of hype and mis-education. Yes, there is a huge issue with GMO soy in North America and there are people who are allergic to it (just like peanuts or any other food). But consuming organic non-GMO fermented or whole soy in the form of edamame, tempeh, or miso has many health benefits and it isn’t going to kill you! Even organic tofu is fine from time to time but, like anything, you don’t want to make it the basis of your diet. If you want to read more about the health benefits of soy here’s a great article with research and information. When I went vegan, I naturally started eating less sugar. Even though sugar is vegan (as are french fries, potato chips, and lots of other junk foods) you just got to keep it in balance. Eating more healthy whole plant foods means you’ll naturally start craving those foods the more you put them in your body. So start replacing addictive artificial sweeteners and refined sugars with dates! They are so under appreciated, but they’re full of vitamins and minerals as well as fibre – which we can all use more of. Add pitted dates to your breakfast smoothies, oatmeal, savoury sauces, and baked goods. Try my recipe for raw apple crumble using date paste as the gooey filling instead of butter and sugar. The whole “bacon on everything” trend is so played out and you obviously know bacon isn’t good for you! Coconut bacon is the future. It’s smokey, it’s crunchy, and it’s way healthier for you. You’ll love it in a caesar salad, on a BLT sandwich, or on top of a vegan omelette. You can buy coconut bacon (look for a brand called Phoney Baloney’s) in health or specialty stores or maybe even at your local farmers market. I personally prefer the more cost effective method of making a huge batch at home! Get the easy recipe on the blog here. Saw you on City’s BT this morning. I have never pulled out my lap top and checked a blog in response to something I saw on TV but the timing is great. I have been adding more veggies to my family’s life and sneaking vegan (raw and cooked) on to our table. At the same time I have been cutting back on their meat and moving to fish only myself. Who knows, as I learn more, we may make the complete change! Thanks for such an accessible, user friendly, down-to-earth site! Love this page! I have subscribed. You are now a part of our journey! Many Thanks! What a super nice message! Thank you! I love that you’re “sneaking” in some vegan at the table. That’s the best way. No need to cause a riot over veggies. We are SO thrilled to be part of your journey. If there’s any other ways we can assist do let us know! Is there anything I can replace the shredded coconut with for your raw vegan cheesecake recipes?